SERVING ON THE BOARD TO ENRICH YOURSELF? Let’s make no mistake, it can be of great advantage for the association if a board member’s company is contracting to do some work for the community. But over the year’s we have seen many bad examples where owners were running for the board with the clear intention to enrich themselves. These “new” board members were suddenly handymen, managers, accountants or even owners of a landscaping firm and made sure that their fellow board members voted in their favor to get a contract. I know quite a few associations where presidents “work” as handymen and charge outrageous money for changing light bulbs or similar easy jobs! 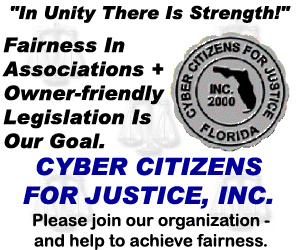 That’s why we pushed for adding FS 720.3033(2) to the HOA Act this year. It makes things a little bit more difficult for board members who want to earn some extra bucks! But no matter what, even board members need to be insured when working for the association in some sort of capacity as contractors or service providers. So even if you are inclined to trust this board member with doing a good job for the association, make sure that this person (or his/her company) has the required insurance policies in place. Otherwise the association may one day face a serious lawsuit if the handyman fell off the ladder – or something similar. You need to make sure that you treat this board member like any other contractor/service provider, with the necessary licenses and insurance policies in place! Believe me, it would not be the first time that somebody out of work would use this kind of opportunity to earn a living – even if he/she doesn’t know what they are doing. Considering my experience with these kind of cases I always suggest that this person should resign from the board before starting to work for the association. I consider it a conflict of interest – similar to the association CAM serving as a board member!